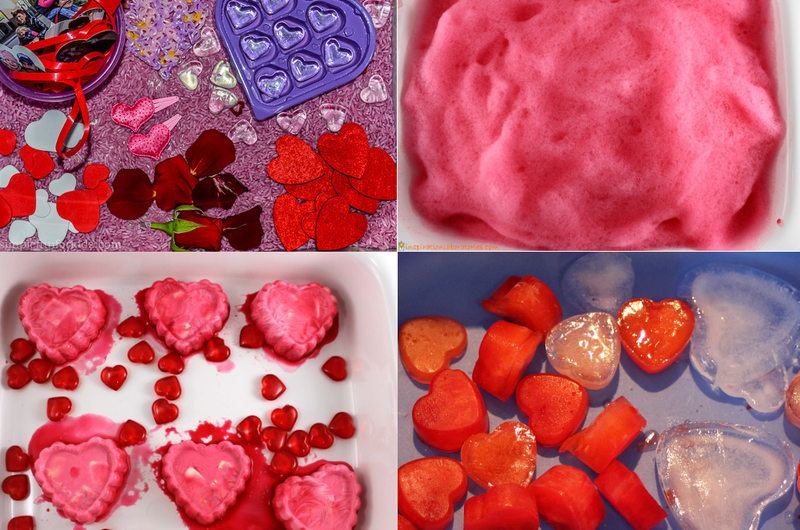 Make Valentines Day special for your little ones with some fun Valentines Day sensory bins! These sensory bins are not only lots of fun, but are great developmental tools for your toddler! 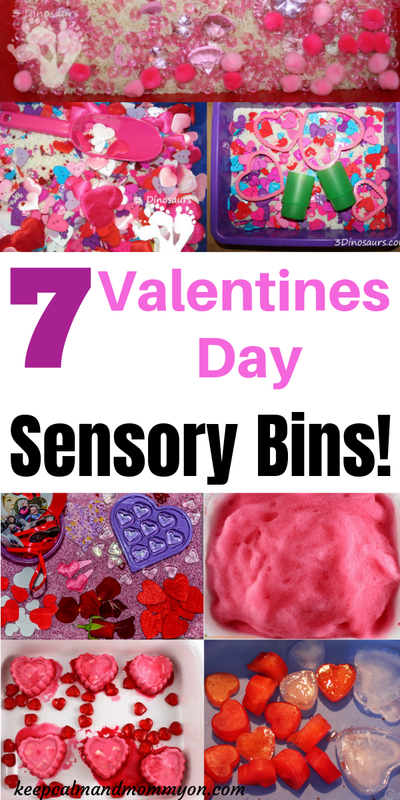 If you like to make holidays and special occasions fun for your toddler or preschooler then these Valentines Day sensory bins are for you! And, not only are they having fun when playing in these sensory bins, they are also learning! 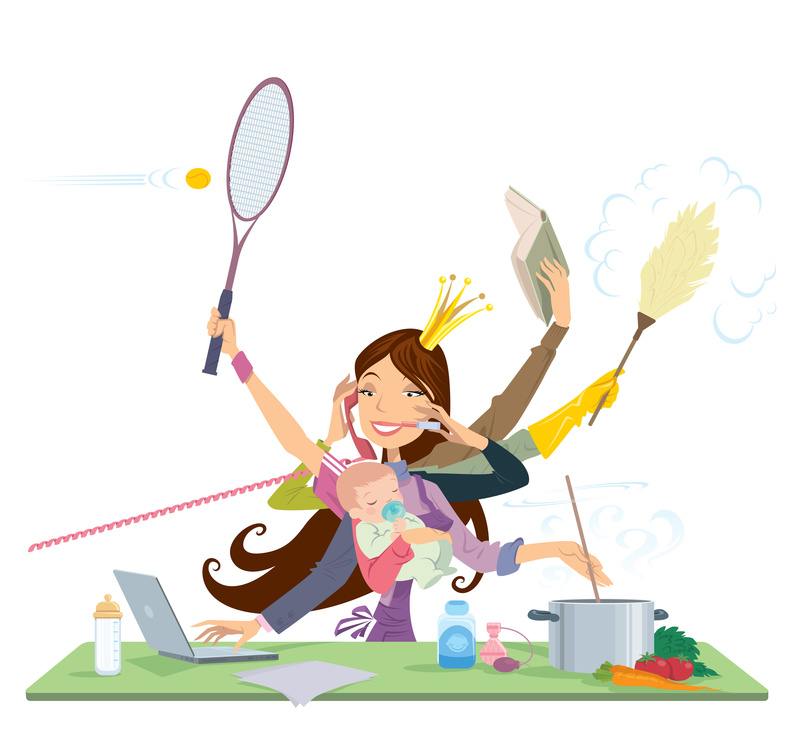 Sensory development is very important for lots of life skills. So put together these bins, and have fun learning and growing together! Lots of frozen fun! Stimulate the senses with all of the different feels and textures in this fun valentine bin. Who doesn’t love playing with soap bubbles? Especially when its such a pretty pink! This cold and squishy sensory bin will definitely be a hit with your toddler! Lots of different sized hearts with many different textures makes this sensory bin a great bin for your toddler or preschooler! 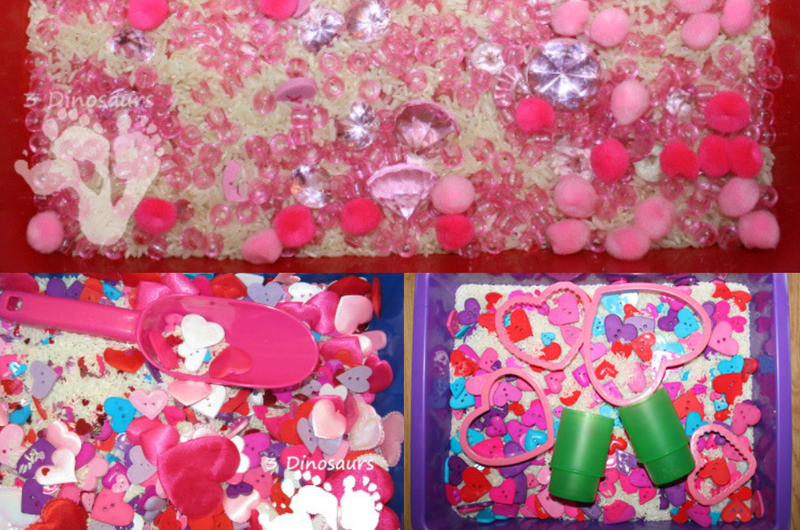 Rice combined with festive Valentines Day items makes this a great sensory bin! All little girls love pink, am I right? I know mine do. This sensory bin is pretty, bright, and full of textures! So make one of these sensory bins this Valentines Day to not only keep your kids entertained but to help them to learn and grow as well! 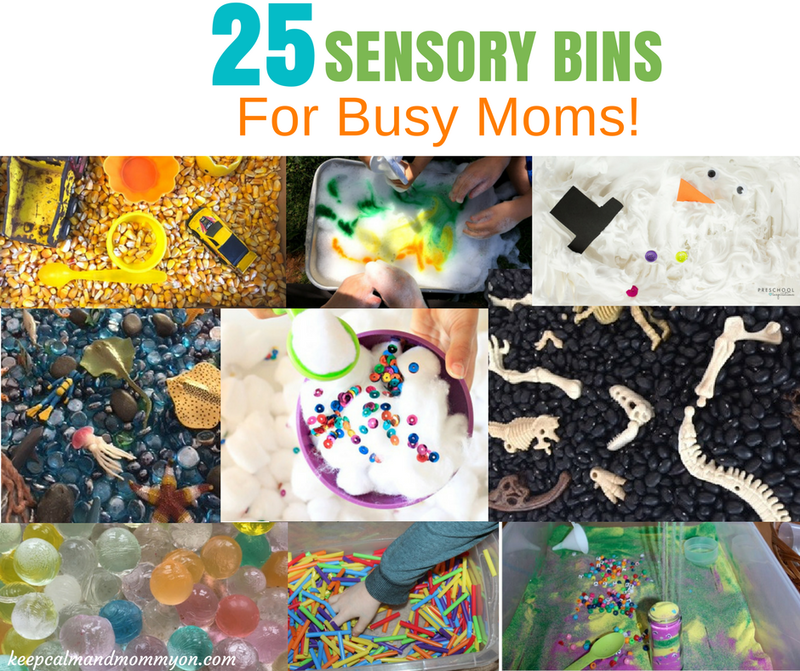 And be sure to leave me a comment below letting me know which sensory bin is your favorite! Which bin will you choose to create with your child?